How do you reduce costs without compromising on quality? 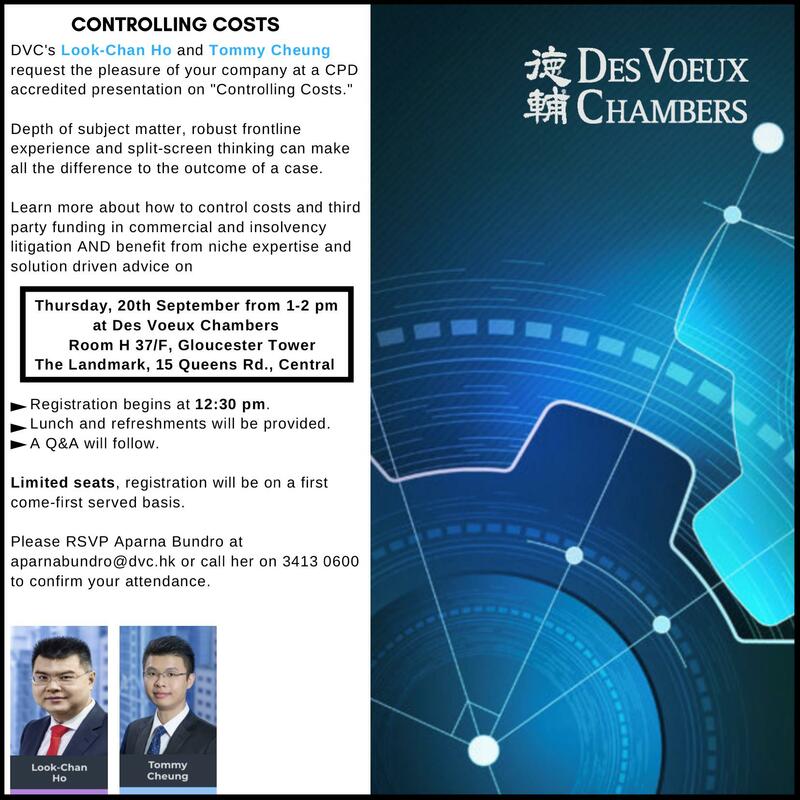 Join DVC's Look-Chan Ho and Tommy Cheung on Thursday, 20 September for a lunchtime CPD accredited presentation to learn more about Controlling Costs which will include an overview of very recent case law that has emerged in the context of insolvency, commercial and third party funding litigation. As seats are limited, registration will be on a first come- first served basis. Please RSVP as per the details below.